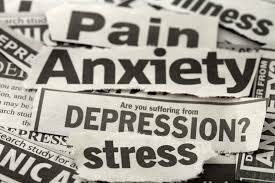 The U.S. Food and Drug Administration (FDA) has approved a wide array of medications for the treatment of depression. If you’re living with depression but you decided to not take one of these medications, you still have more options out there. Some people look to herbs and natural remedies to find relief from their symptoms. A lot of these herbal remedies for depression and anxiety have been used medicinally for centuries as folk and alternative treatments. Nowadays, a ton of herbs are marketed as mood boosters for people who are experiencing chronic feelings of either sadness or hopelessness. Omega-3 is known as a healthy type of fat found in fish such as salmon, trout and sardines. They’re widely available in supplement form and are sometimes referred to as fish oil capsules. 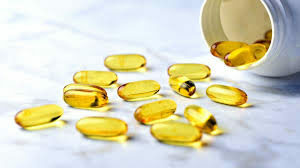 According to Mayo Clinic, researchers have found that people who have low levels of two brain chemicals found in fish oil supplements may be at an increased risk of depression. It’s best to get a higher ratio of DHA and EPA, which are both types of omega-3 fatty acids. Furthermore, aside from taking in more omega-3 fatty acid supplements, you can opt to also increase the amount of fish that you eat. Eating three times a week can help increase your omega-3 fatty acids even without the aid of supplements. 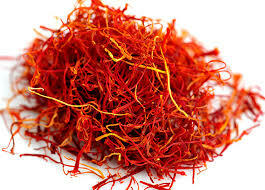 Saffron is a spice that’s derived from a dried portion of a crocus, a flower that belongs in the iris family. According to a study, which is published in the Alternative Medicine Review, taking some saffron stigma (the end of the carpel, or rod-like stem, found in the flower) has been shown to be effective in treating mild to moderate depression. St. John’s wort is a plant that’s native to Europe, western Asia and northern Africa. Europeans usually take this as a way to treat depression; however, the FDA hasn’t approved the herb to treat this condition. 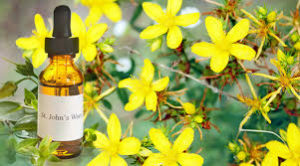 The intake of St. John’s wort has been associated with increasing the amount of serotonin inside the body. Serotonin is known as the feel-good chemical in the brain that people with depression are often low in. A couple of antidepressants may work by increasing the amount of serotonin inside of the brain. Furthermore, it’s important to also take note that St. John’s wort is known for interacting with a myriad of other medications. This is especially true for blood thinners, birth control pills and chemotherapy medications. Thus, before you try out this herb, better consult with your doctor first. So, there you have it, these are just some of the supplements and herbs for depression and anxiety you can try out. Just remember that you should always first consult with your doctor before you try out one of these remedies. It’s still best that you seek medical consultation first before you try something out.